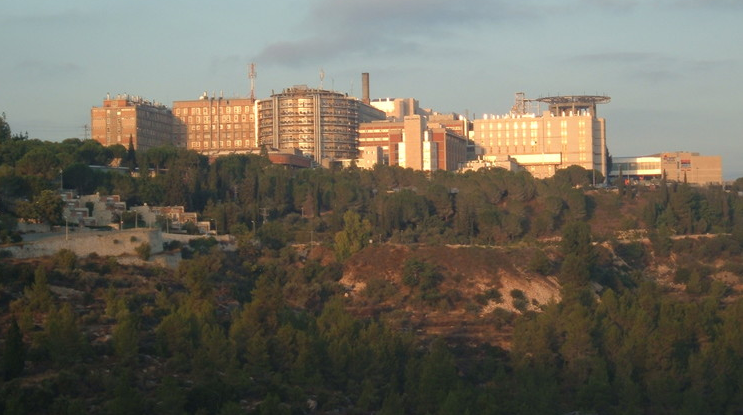 JNS.org – Doctors at Jerusalem’s Hadassah Medical Center have developed a new method to monitor tumors without injecting patients with radioactive substances or exposing them to ionizing radiation. The method, detailed in a study published Thursday in the Nature Communications journal, was developed by the director of the Center for Hyperpolarized MRI Molecular Imaging, Rachel Katz-Brull, and her team at Hebrew University of Jerusalem. Katz-Brull showed that by using magnetic resonance imaging, the nucleus of a phosphorous atom can alert doctors to suspicious acidity levels in the body, thereby revealing the possible existence of a tumor. The researchers used a special technique that allowed them to more easily identify the nucleus, enabling it to appear to “shine” 10,000 times brighter than normal. “This diagnostic tool relates to the metabolic activity of the cells in a tumor or other in other tissue that may be suspicious,” Katz-Brull said. “It may provide a better way to determine whether tumors are malignant or benign, and help test the efficacy of treatment.” The groundbreaking method makes it possible to avoid a biopsy or other invasive procedures to measure a tissue’s acidity levels, and also to determine whether a tumor is malignant or benign without having the patients undergo unnecessary radiation or be exposed to radioactive materials.